Her are some thoughts based on today’s Bible reading according to the Michael Coley Bible reading Plan, Joshua 1-5. I published the following essay about 5 years ago, in March 2013. It’s been excerpted to remove the discernment lesson about the television series The Bible, but you can read the original article here. The article below is on Dr. Adrian Rogers’ website “Love Worth Finding.” Dr. Rogers is in heaven now with the Lord, but his work remains and continues to bear fruit for the kingdom. His blood gives power over the devil. It’s the blood that Satan fears. 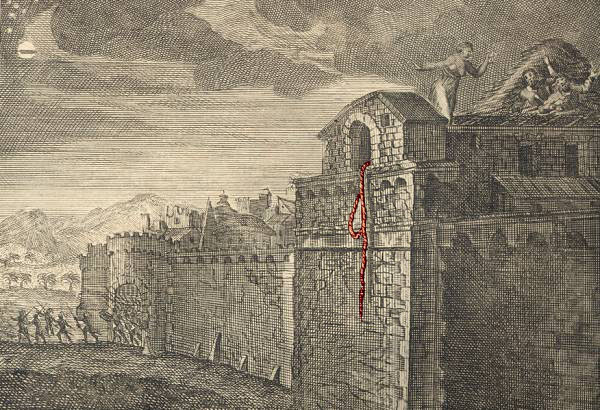 Revelation 12:11 says, “And they overcame him [Satan] by the blood of the Lamb….” The devil doesn’t want you to learn about the blood. He hates it! Christ’s Sacrifice Once for All – For since the law has but a shadow of the good things to come instead of the true form of these realities, it can never, by the same sacrifices that are continually offered every year, make perfect those who draw near. The Old Testament as well as the New Testament is beneficial for all edification, correction, and reproof. 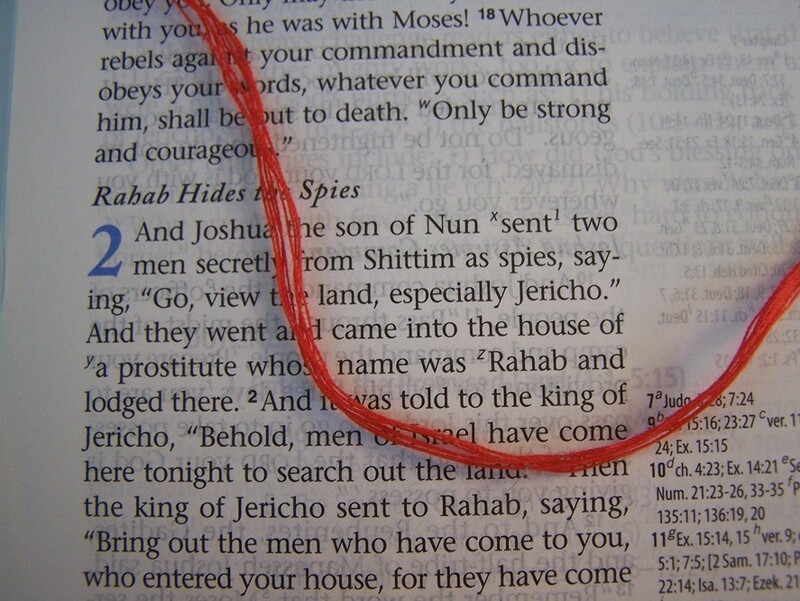 Think about the scarlet thread that runs through the entire Bible…and the power of the Blood.